Pedro is not about money. It’s about power. “Operation Pedro” actively targets people on bikes in inner-Sydney, with regular blitzes to hand out $319 fines for not wearing a helmet and $106 fines for not having a bell. “Revenue-raising!” is the standard response from everybody bar the small legion of bike-haters who inhabit the comments section of any article mentioning cycling in the MainStreamMedia. It’s easy money – a couple of cops hide behind a corner at a busy cycling intersection and start writing tickets. This cop isn’t hiding, but he is looking ridiculous perched on the narrow cycleway separator. 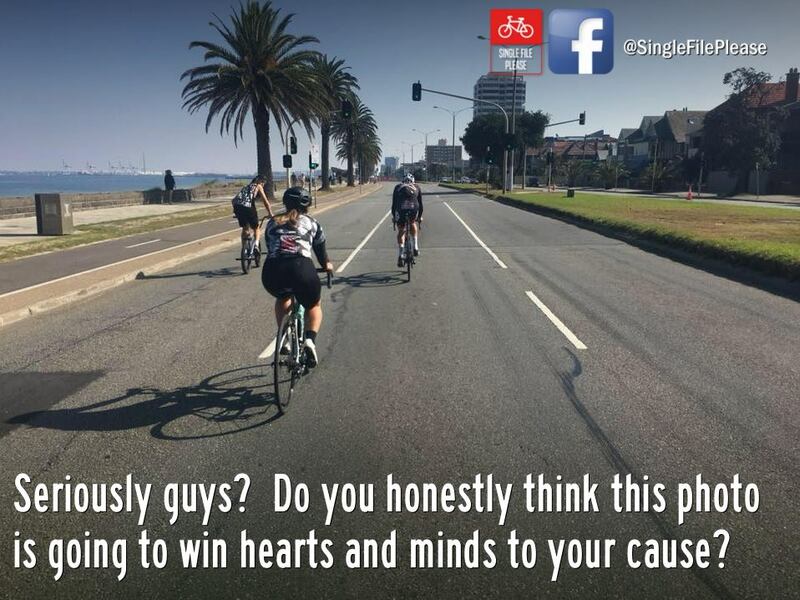 But if the state government or NSW Police wanted to raise money, would they think to target people on bikes? After all, there’s not that many of them; roughly 1% of trips to work in Sydney are made by bicycle, and most of them wear helmets these days. Compare it to driving, which accounts for 65% of all trips to work in Sydney, and the fact that almost all drivers break at least one road rule every trip they take. Exceed the speed limit by 1 kmh? Stop 1 cm over the white line at intersections? Indicate for 1 metre less than the required 30 metres before turning? Sure, those offences are trivial. But so is cycling without a helmet or a bell. If money were the object they’d be going after the driving majority, not the cycling minority. 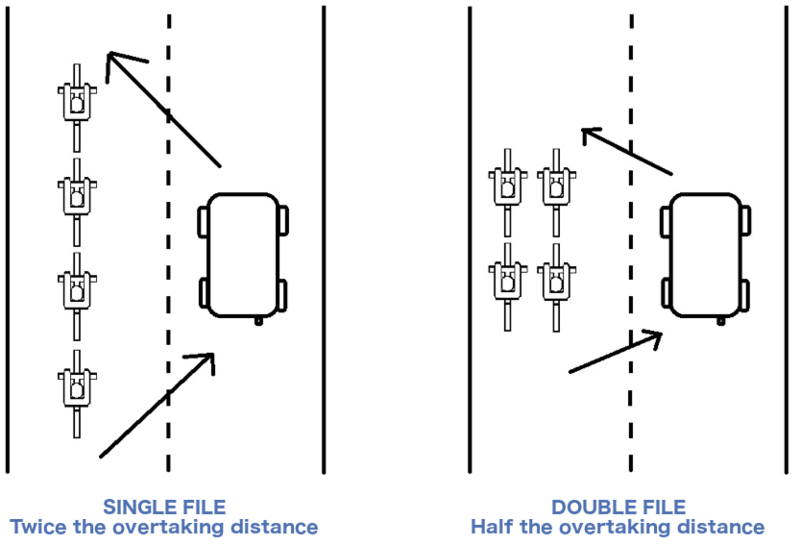 One possible reason cyclists are targeted is because pulling them over to fine them doesn’t stop traffic to the same extent that pulling motorists over does. A cop booking a cyclist doesn’t block the path of other people on bikes because people on bikes take so little space. Compare that with the space required for a cop, with cop car, to stop somebody in a car. In the inner-city there’s almost nowhere this can be done without blocking traffic, and making other drivers mad. When a cop busts somebody on a bike, the rest of the city flows around them. Nobody is held up. Recently I had lunch at the Bourke St Bakery (the original, in Bourke St), and watched as cars travelling east on Devonshire St navigated the dual STOP signs at the intersection with Bourke St. The traffic was slow, but constant, and I didn’t see a single driver come to a complete stop at either sign. At 200 cars an hour, a small team of cops doing an 8-hour shift could hand out 3,200 stop sign fines, which at $330 each makes a total of $1,056,000. A million dollars over eight hours for just one relatively quiet intersection. If the goal was raising revenue, the police wouldn’t be futzing with the occasional cyclist. Dual STOP signs outside the Bourke St Bakery. No driver stops at either. C’mon NSW Police, you’re leaving money on the table here. Is there enough space on Bourke St to stop all these drivers without blocking traffic altogether. I think so, as long as the police managed to keep a few of the nearby parking spots reserved for pulling over all those errant motorists. If money isn’t the driving force here, what is? I see two forces; one general, and one specific. Whip a few cyclists to keep ’em in line. And to keep the crowd happy. 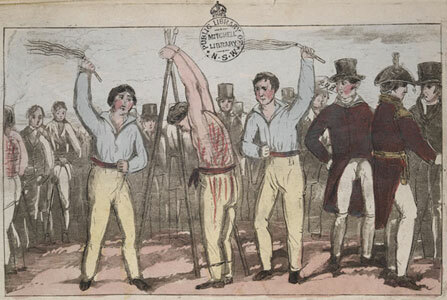 The general is that Australia is a former prison colony, and has a deeply embedded authoritarian streak that manifests itself in a dizzying array of trivial rules and laws that are often enthusiastically policed because enthusiastic policing is what you get in a prison state. But the specific force is that Australia’s society and roads are deeply car-centric, and people on bikes are seen as outsiders. There are votes to be had in “cracking down on cyclists”, and this is an easy, high-profile way for governments to be seen doing that. The motoring majority see themselves as burdened by traffic congestion, speed cameras, and red-light cameras. Operation Pedro is welcomed by them in terms of fairness – it spreads the burden of our messed up road system to those of us who appear to have opted out by not driving. The bit of cash it raises doesn’t hurt in this equation, but it’s way down in the mix. Do you ride a bike in Sydney and are sick of being fined for riding a bike unhelmeted? Join Helmet Cops to receive real-time notifications of Pedro-style stings from other group members . If you squint hard at the bottom of this blog’s header image you can just make out my home. The photo was taken during construction of the Kings Cross tunnel in the late 60s/early 70s. The tunnel destroyed a major swathe of the Cross, which is Sydney’s traditional red-light/bohemian/drug/crime district. Today the Cross is largely gentrified. The actual drugs and crime have been replaced by council-sanctioned memorials to drugs and crime, which have been embedded in the stone used in the Kings Cross footpaths. It’s the same grey stone being installed in all the “nice” areas of Sydney. Google Street View shows the long and bleak walk across that footbridge. It’s always sad to imagine what was lost in order to build this massive road. In the 2000s the “Cross-City Tunnel” was added alongside the old Kings Cross Tunnel. At the tunnel’s exit the new lanes were somehow squeezed in alongside the old lanes. My home is now 150 metres from 10 lanes of traffic. Well, that’s my first blog post, just in time for the end of the blogging era 🙂 I’ve started with something small and close-to-home, but I have a handful of broader topics I’m ready to roll with. So read on.